In my last post, I wrote about the importance of having a skincare routine for your skin. This goes for the morning, to prepare your skin for the day, but especially for the evening, just to get rid of all the impurities (and makeup) accumulated during the day. First step, the makeup removing. Right now, the whole blogosphere swears by cleansing balms and cleansing oils. 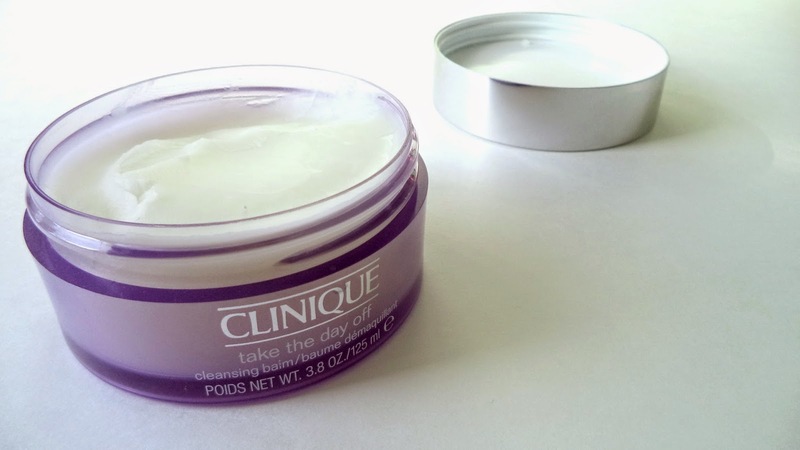 After the recommendation of the lovely Holly from Bloomin Rouge, I decided to try the Clinique cleansing balm Take The Day Off. This cleanser is really thick and it dissolves any type of mascara (say hello to your inner raccoon!)! I apply a bit on my face and massage it. First, the texture becomes oily, and then, with a bit of water, it becomes slightly milky. Finally, I rinse it. The skin is left moisturized, but not oily at all! 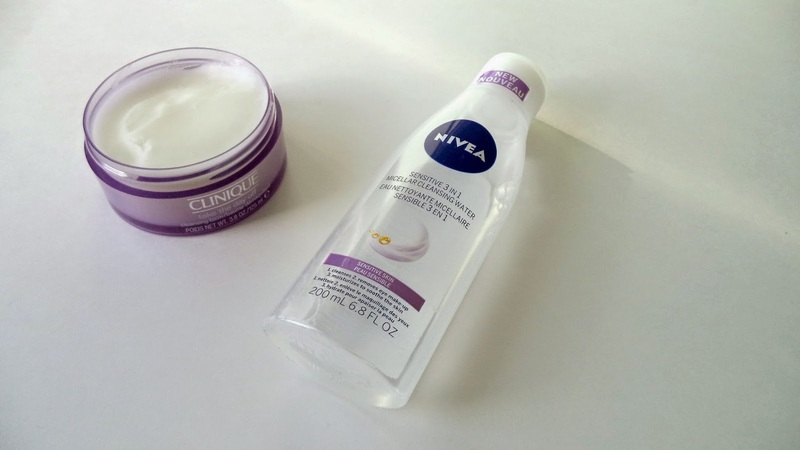 If there is still some makeup on my face, especially on the eyes, I use a micellar water from Nivea. But I’ll say it’s quite rare, only if I had a smoky eye or an intense eyeliner! Then, I like to cleanse my skin again (when I’m not too lazy). I use the same cleanser as in the morning, the Sebium Purifying Cleanser from Bioderma. Once my skin is fully cleansed, I like to apply a lotion. I use the Pureté Thermale Lotion from Vichy. Because time flies, it’s important to take care of your skin to prevent wrinkles. Once they are there, we can’t do much, so now is the time to act! I use the serum LiftActiv 10 from Vichy. It prevents wrinkles, maintain a good firmness and a beautiful shine. Obviously, I can’t really attest to its result on wrinkles, but I find that my skin is really smooth and glowy after applying it. 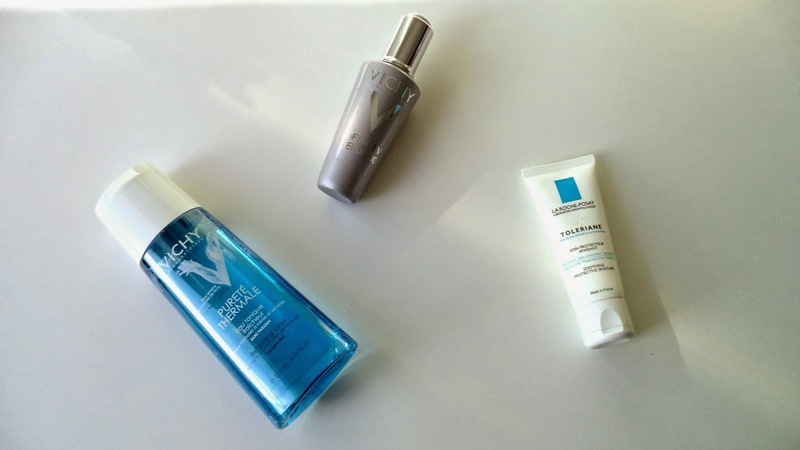 Finally, I use the moisturizer Toleriane Soothing Protective Skincare from La Roche-Posay. The name can be very scary if you have oily skin, but this treatment is actually designed for normal to combination skin. I only use it at night, because it still leaves a greasy film on the skin, but I find it really helps cells to regenerate and in the morning, my skin is firm, soft and luminous. Voila! My skin is now ready for a good night of sleep! What’s your evening skincare routine? Do you have a favorite product to recommend?